I *love* this attempt to capture the sliver of audience who are not only used shoe fetishists, but fishing sportsmen, too! Extra points for 'creepy cam' view with the darkened edges around the photo. 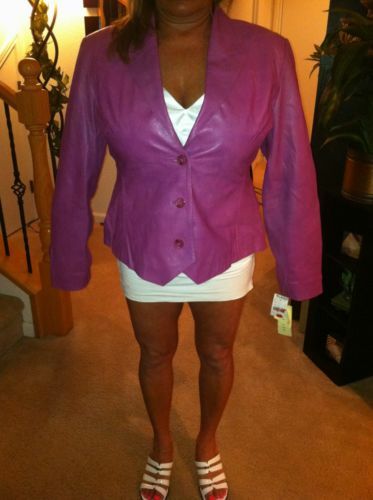 This brave AEM is telling us one of two things, either the jacket for sale is hideously out of proportion, or well, um, she is. I hope this isn't the neighbor's cat. Oh Sexiness, you elusive minx. This gal's got a hot body, she's got the coy can't-see-my face thing going on, but then there's that dern foreshortened leg. Makes her look like she's missing a leg and carrying a wadded up tshirt.